NRA Host On Accusations: This Was "Hijinks For Boys" - Joe.My.God. “I feel very strongly about men using power over women, especially for sexual exploitation. I have absolutely no tolerance for it. But when you talk about 17-year-old boys at a house party and everybody’s here, there — she says there was no skin contact, there was no any of that. Boys tackling people off a bed then running away. I’m sorry, but that is not a federal crime or even a state crime. That’s hijinks for boys. 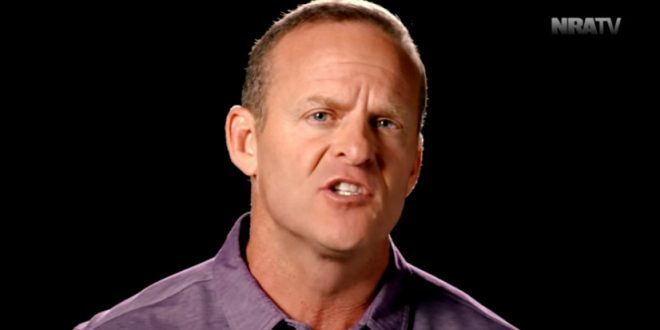 And I’m going to get in trouble for saying it, but it is.” – NRA TV host Grant Stinchfield, speaking on this afternoon’s webcast.